Will Next-Gen Subaru WRX STI Get “Bolder” Design Or Be A Disappointment? When the next-generation Subaru WRX STI is revealed, will it get a new bolder design or will the performance car be a big disappointment? Subaru needs to get the next-generation WRX STI design right or it could be a big disappointment for performance fans. 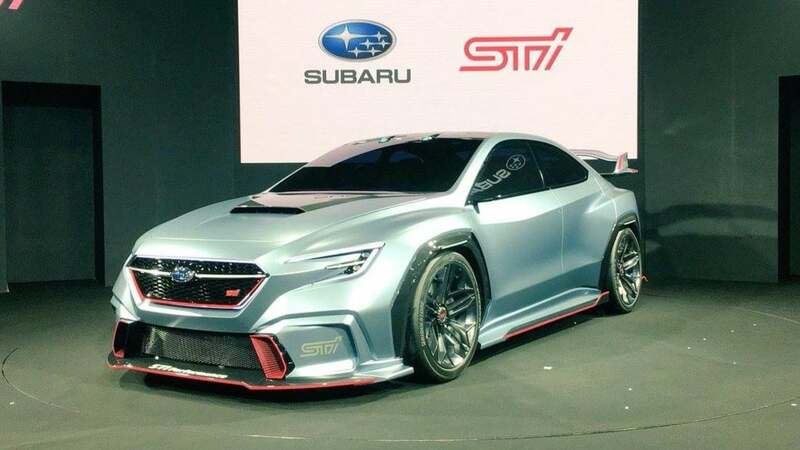 The Subaru VIZIV Performance STI Concept was a hit with fans when it was unveiled, but they also remember the WRX Concept that was a big disappointment when the 2015 model didn’t get the same styling. The next-generation Subaru WRX STI is coming but will it look anything like the STI concept Subaru unveiled at Tokyo Auto Salon 2018? If it does, it will be a big hit for the Japanese automaker. Subaru Corp’s new President is changing things and seems to be listening to performance enthusiasts. The STEP plan says in their product plans and design direction, that Subaru will launch fully-redesigned versions for key models every year and enhance distinctive SUV and sports models. It says, “We will evolve Subaru’s “Dynamic x Solid” design identity to a “bolder” expression. This is good news for WRX STI fans if Nakamura follows through with his plan. The Japanese automaker just unveiled the all-new 2020 Legacy Sedan with minimal exterior design changes but it did get a new turbo engine for the first time since 2012. The new 2020 Legacy XT should bring back excitement to the Legacy lineup. Subaru says the 2.4-liter Boxer launches the Legacy XT from 0-60 mph in an estimated 6.1 seconds. Now Subaru needs to bring a new fifth-generation WRX STI with a “bolder” design for STI fans. Performance enthusiasts are hoping for even more changes like the 5-Door hatch to return. Subaru fans have been asking for the return of the Hatchback body style since it was dropped in 2015MY. 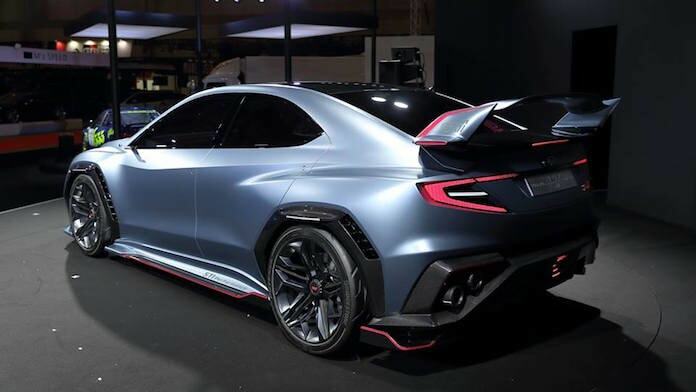 Subaru Corporation’s design chief Mamoru Ishii said after the VIZIV Performance Concept’s reveal at the Tokyo Motor Show, “We have built up this tradition with the Legacy, Impreza, and WRX. We want it to look fast even when it is parked.” But there could be even bigger changes coming under the hood scoop of the new-generation Subaru WRX/STI. Ishii, went on to say,“Four-wheel drive is critical to the power and performance levels our customers expect, but on the engine, we have more freedom.” The engine Subaru’s design chief is talking about could offer up hybrid, plug-in hybrid and all-electric power to those four wheels in the next-generation model. Major changes are coming to the WRX STI, and performance enthusiasts are waiting to see what's next for the fifth-generation model. Will Subaru give fans a new “bolder” exterior design on the next-generation 2020 Subaru WRX/STI performance models? Subaru has the STI Performance Concept to draw inspiration from and it’s what fans want. Stay tuned. There are some "fans" that no matter what, are always going to be thinking that next generation will be the one to have until they'll realize it's already too late. The good thing is that if you have one, so far, it's still a really enjoyable car: The rumbling sound, the linearity in the power delivery, the manual transmission, the hydraulic steering, the three LSDs, the chance to look at an engine not covered by plastic. To be able to drive a car that feels mechanical and powerful and that returns an experience while driven like no other car I've ever had. I know that an air-cooled 911 or a Ferrari with a manual transmission might be delivering more of that, but currently produced, for the person who wants to drive behind the wheel, to me, there is no car that offers more fun, better numbers, yes, but not more fun. All those treasurable characteristics are like endangered species in world of cars and maybe transportation. Maybe the future is all automatic, electronic, with plenty of artificial intelligence. Enjoy car enthusiast this magnificent piece that Subaru currently offers while is still possible to get it. Subaru might abandon the manual transmission even in the STI. Maybe the future has already arrived with Tesla, where electronic, quiet electric motors and just telling the car bring me there is all the future needs. The exterior wasn't an issue when I bought the car. I could have bought the Type-R, but would have ever envied the drivers of the rumbling engines and I happily sticked to the STI. If the next gen 2020 sti doesn't come with at minimum of 350hp and 350 tq and forged internals, I think I'm gonna be done with Subaru. That's the biggest thing we have been begging Subaru to give us, forged internals and 350+hp. So if they dont at least address that, I dont see myself staying with the STI brand, toss my keys in and get something better.